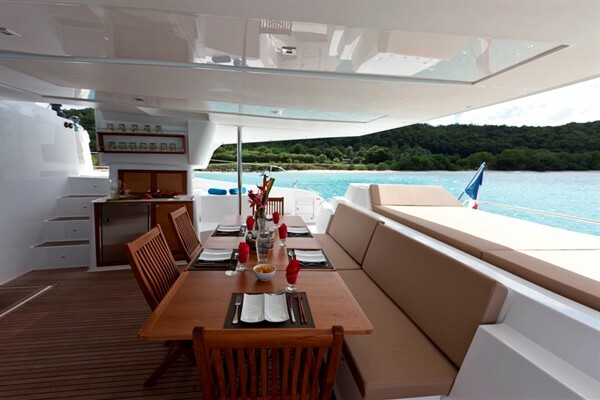 The main deck aft treats guests to an elegant alfresco dining area with a settee along the stern along with additional free-standing chairs around a raised table. 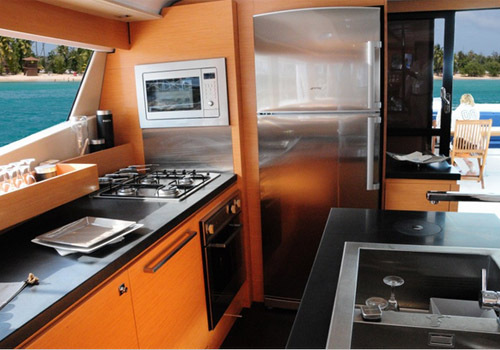 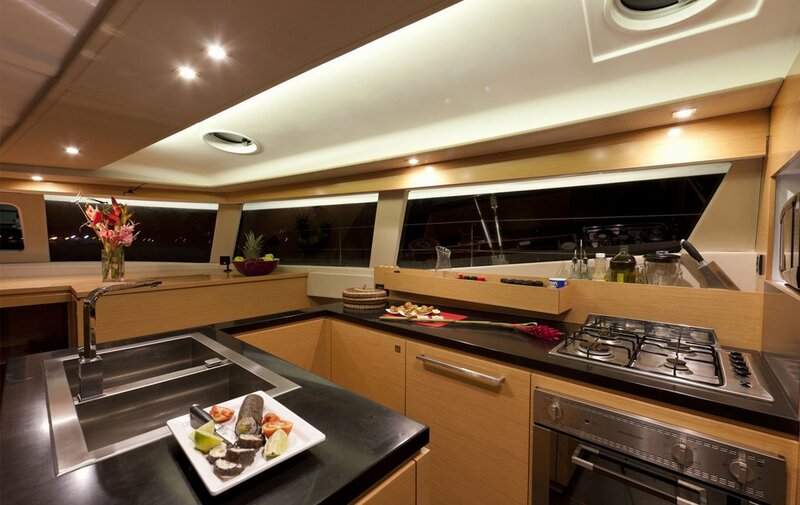 A wet bar is placed to starboard near the glass sliding doors to the interior, leaving the port side clear for a spare seating area. 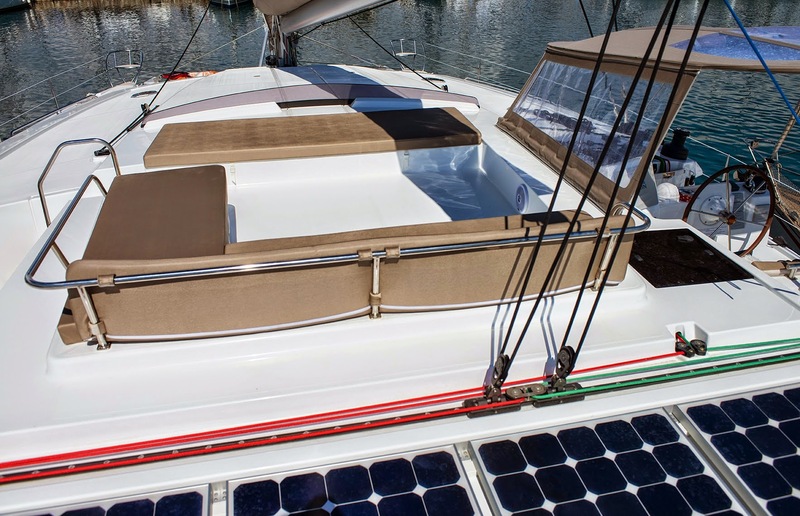 A sun pad covers the raised stern area while two staircases lead down to the water. 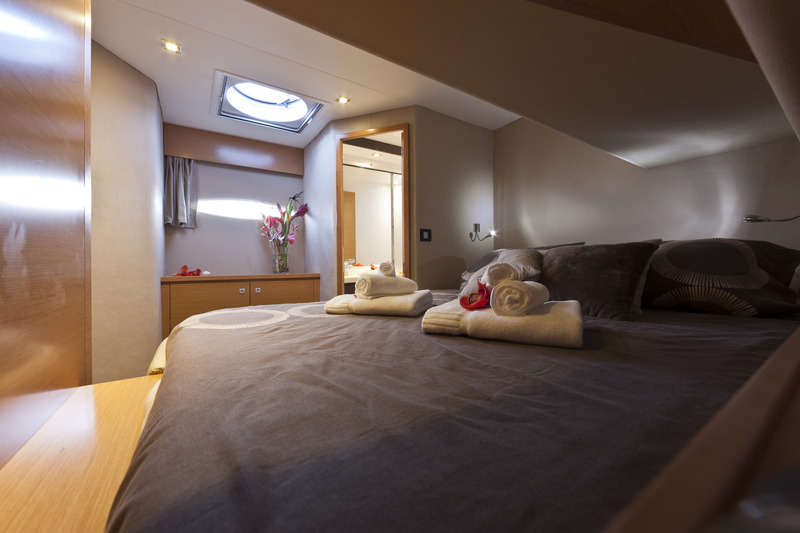 On the bow, there are two trampolines for exercise and sunbathing, while up on the flybridge there is a seating area with broad sofas that double as sun pads. 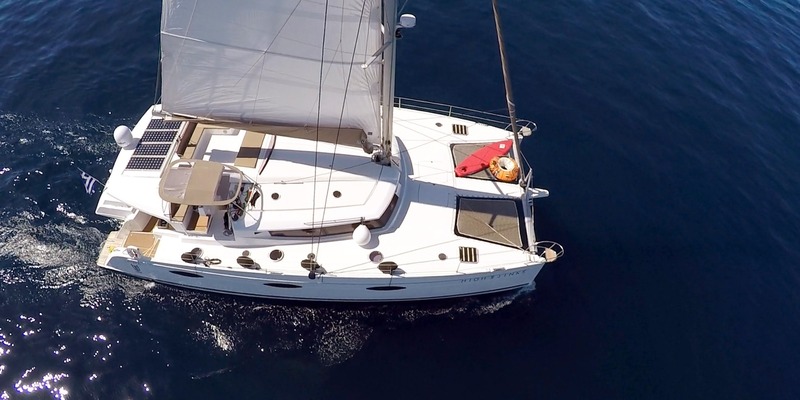 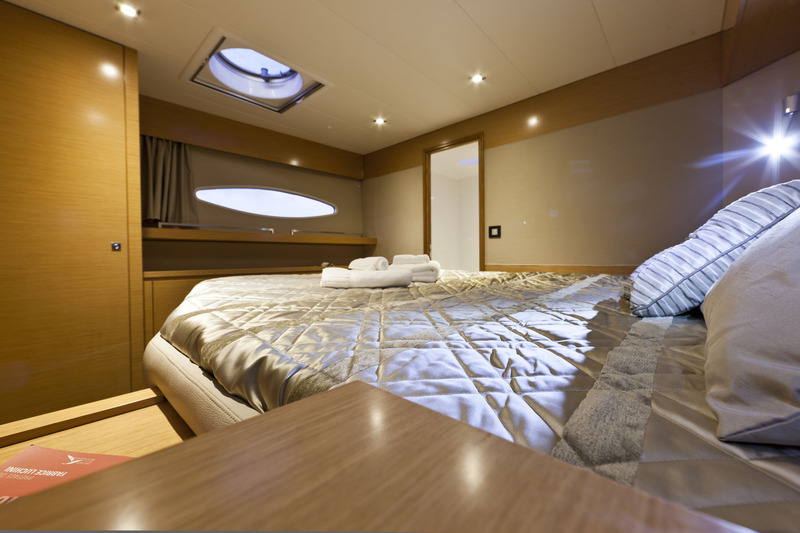 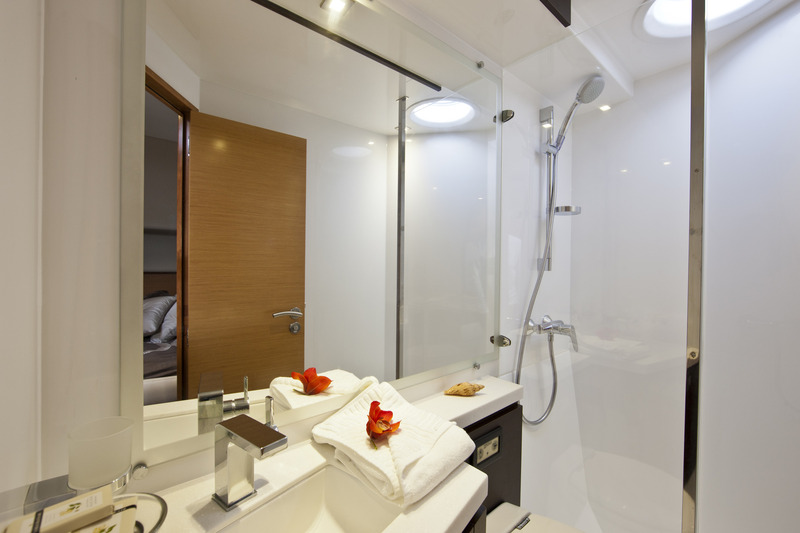 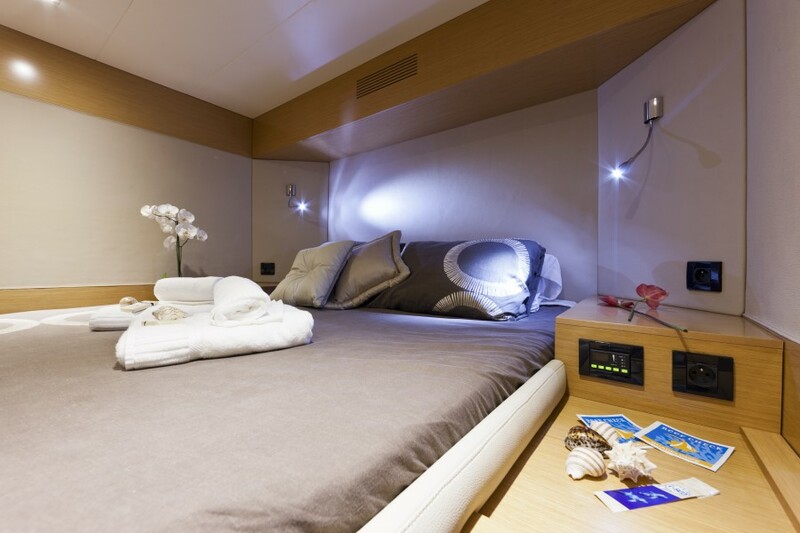 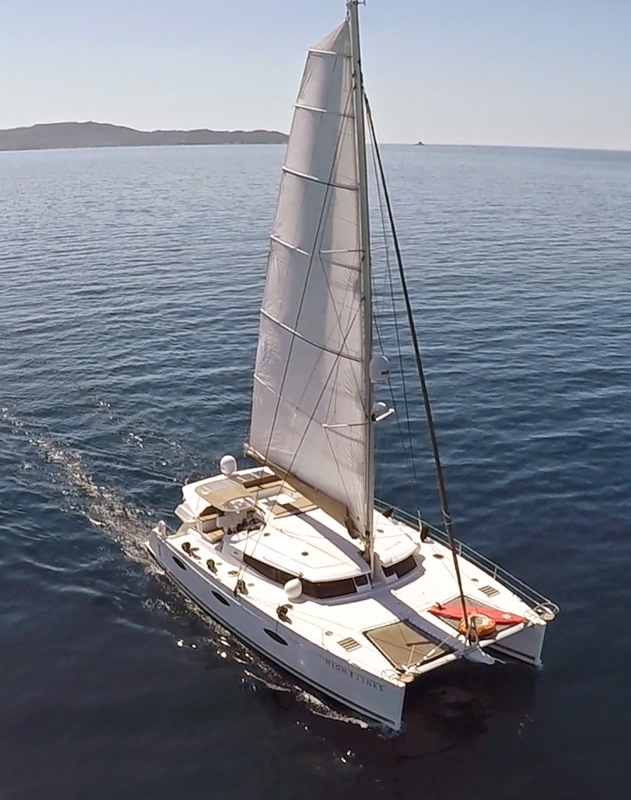 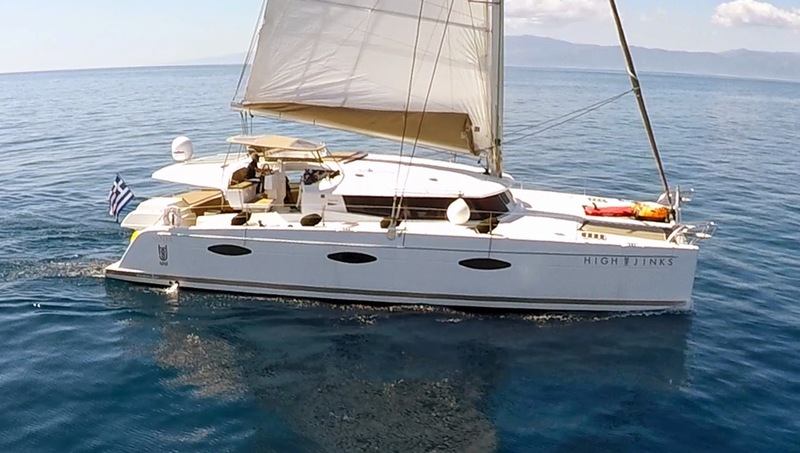 The port-side hull contains three queen-sized cabins for guests while that starboard hull provides two queen-sized cabins with the crew cabin amidships. 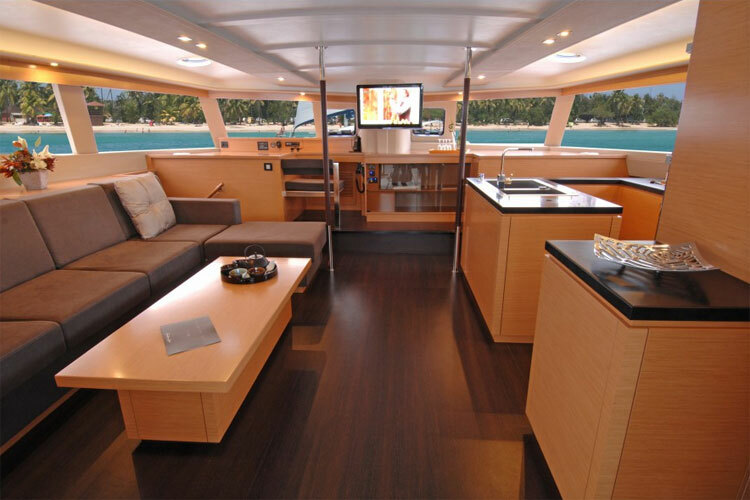 Two stairways on either side lead up to the salon, where guests have a light and comfortable modern environment providing a starboard galley and a port side L-shaped sofa with a raised dining table. 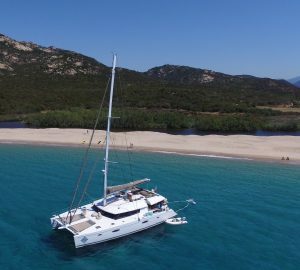 A pair of Volvo Penta engines provides a top speed of 12 knots and a cruising speed of 10 knots.